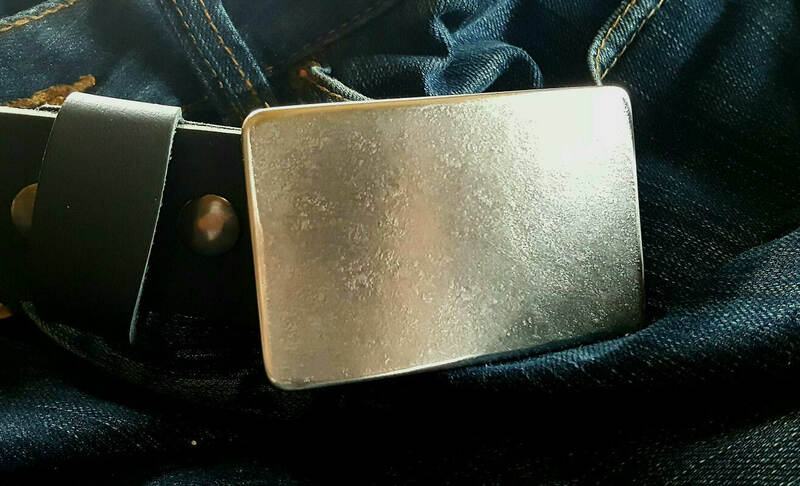 Natural Classic Silver Belt Buckle Set Anvil Textured Stainless Steel Hypoallergenic Buckle Signed by Aucoin. Set includes buckle and 1-1/2" Leather Belt with Snaps, making changing buckles a breeze. Buckle fits 1-1/2" belt (included) Buckles and belts to fit 1-1/4" belts for suits also available on our site. Excellent for jeans & casual wear. Because each buckle is an original created at his studio on the north shore of Loughborough Lake just outside of Kingston ON., there may be a slight variation from the photo listed. Every effort will be made to stay true to the photo shown. 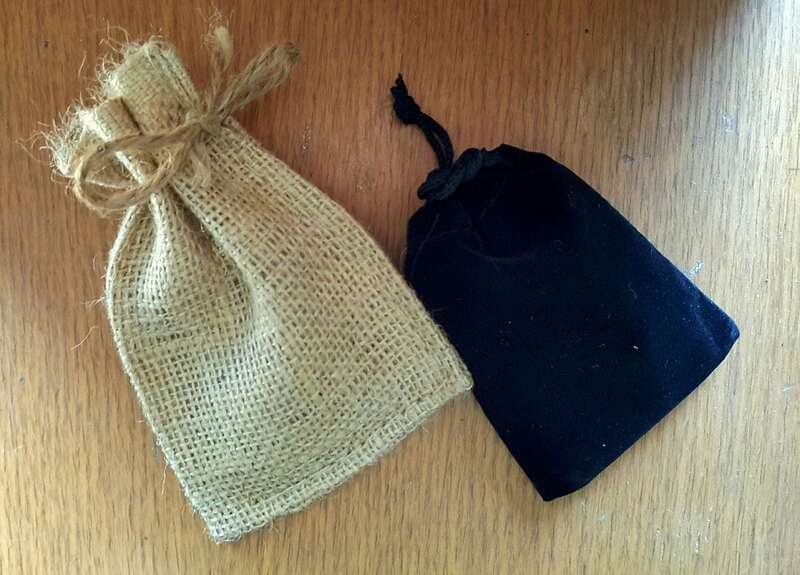 Each buckle includes a velvet black bag or beige burlap bag. Please choose from our drop down menu, at the time of purchase. 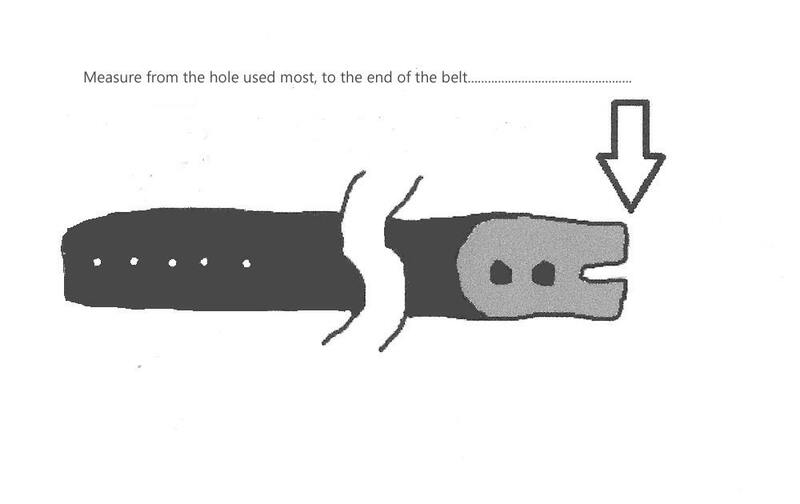 Buckle measures 3-1/4" x 2" and includes a 1-1/2" leather belt. 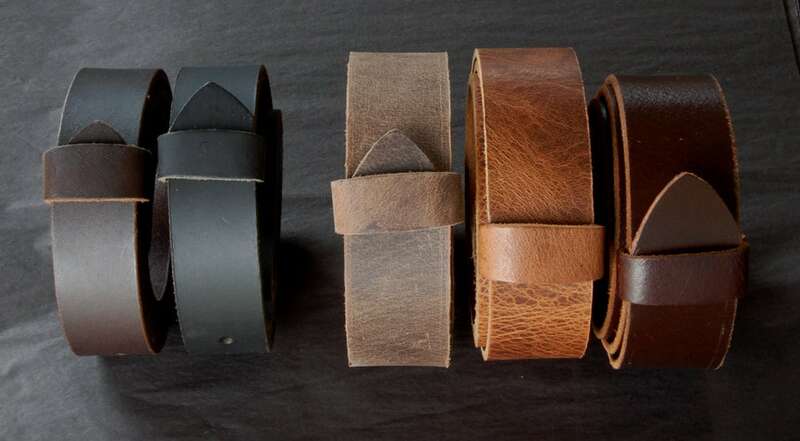 Full grain interchangeable buffalo leather belts available and custom cut to your waist size. Hand dyed belts also available. Dark brown, black, fawn brown, mahogany, distressed and natural belts. Buckles to fit 1-1/4" belts(suits) also available. Custom & wholesale orders welcome!